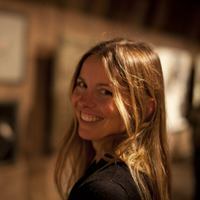 Hattie Wells is an ethnobotanist, former ibogaine facilitator and drug policy reform advocate. She spent many years researching the cultural and therapeutic use of psychedelics, specialising in the administration of ibogaine as an addiction interrupter. Her life then took a slightly different turn and she went to Namibia to do ethnobotanical fieldwork with the San Bushmen and direct a sustainable livelihood initiative in the region. Upon returning to Europe, she worked with several NGOs in the field of ecology, drug policy reform and more recently psychedelic science. She now works for the Beckley Foundation as Operations Manager, where she combines her commitment to drug policy reform with her interest in the therapeutic potential of psychedelics.